Last month, we discussed Alison Tetrick’s, of Cylance Pro Cycling, experience using RPM² throughout her cycling season. Even though Alison Tetrick performs wonderfully as a world-class athlete, discrepancies in her power output were detected during product testing. In 2010, Alison suffered a traumatic injury that resulted in a broken pelvis. While she has continued to compete and perform well, data collected by the RPM² revealed what Alison already knew: she favors one leg over the other. Although Alison Tetrick has recovered from her injury and has no problem competing at a high level, she now wants to focus her efforts on achieving bilateral symmetry through range of motion exercises. Each week, data from specific range of motion exercises will reviewed each week. 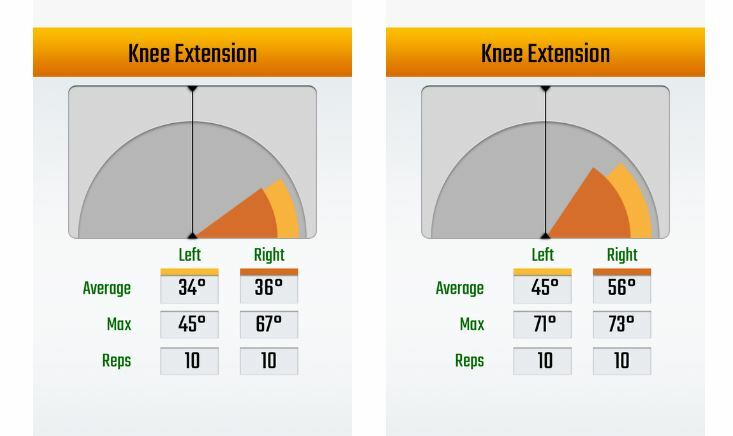 Last week, our team at RPM² took a closer look at the information gathered from Alison’s knee extension exercises. 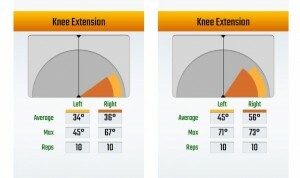 Below is a screenshot of the data captured, which shows an improvement in both range of motion and symmetry. You can also view a video of Alison performing the knee extension excises while wearing her RPM² footbeds.